Matthew Herper, contributor to Forbe’s The Science of Business blog, suggests that an “unintended consequence” of regulating financial conflicts of interest in medicine — eg, academics taking big speaking fees from drug companies — is that the drug industry “can make experts out of community docs, then use those for speaking. Cutting them [drug companies] off from paying the academics just keeps the academics out of the system. It doesn’t get rid of the system” (see “The Pharma Marketing Hydra“). I found this insight interesting because I just finished writing a Pharma Marketing News article related to this issue: “Corporate Reputation in the New Media World: Influencing the New Influencers” (PMN reprint #91-02). In that article, Gary Bartolacci, Senior Director, Kantar Health, cited research that questioned the traditional idea of thought leaders being perceived and defined by prestigious titles, number of publications, and speaking engagements. Other physicians may not fit that definition but are nevertheless quite influential, said Bartolacci, especially at the local and regional levels. Influential physicians who are hired by pharmaceutical companies to speak about new therapies to other physicians are called “key opinion leaders” (KOLs). The problem with traditional KOLs is that many of them are usually so busy that they may not have the time to participate speaking programs. But more and more KOLs are facing a more difficult choice: either stop moonlighting as a paid speaker for pharmaceutical companies or quit their jobs at top medical schools and teaching hospitals that restrict or ban participation in speakers’ bureaus. Recently, the Boston Globe reported that Lawrence DuBuske, “an allergy and asthma specialist and a Harvard Medical School instructor [and Executive Editorial Board Member of the journal Allergy & Asthma Proceedings], will resign from Brigham and Women’s Hospital at the end of the month” (see article). 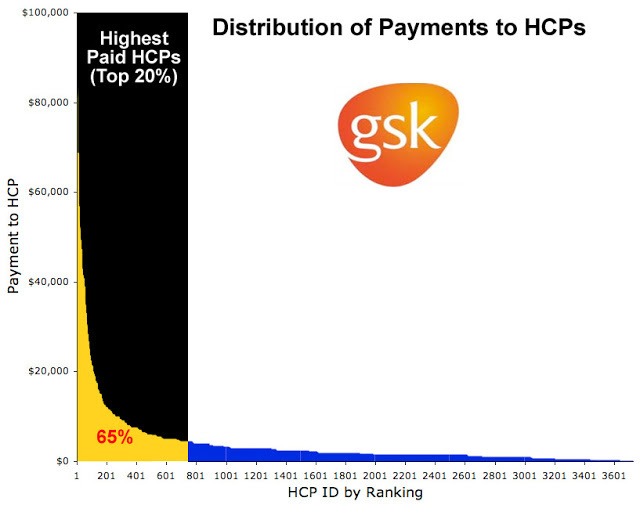 As I reported in the article “Pharma Begins to Reveal Payments to Physicians” (PMN Reprint #91-03; also see this Pharma Marketing Blog post: “Why Does GSK Prefer New York Physicians & Will Governor Patterson Ruin It for Them?“), DuBuske received the highest total payment made by GSK for speakers in Q2 2009: $99,375. Key opinion leaders may also be found online using social media tools like Facebook and Sermo. “There may be newer doctors who are incredibly influential on social media sites who are not considered key opinion leaders in the real world or who are completely unknown to companies,” noted Bartolacci. I find it interesting that the “unintended consequence” of physician payment sunshine laws may actually be helpful to the drug industry by encouraging it to break away from the academic KOL strategy to what may be a more effective strategy of using community doctors. And by “community,” I also include online communities like Sermo (see “Pfizer has a Gold Mine in Sermo!“). Previous articleWhy Does GSK Prefer New York Physicians & Will Governor Patterson Ruin It for Them?